Essential Oil of Birch is steam distilled from the bark of Adirondack Birch trees. The oil, while chemically similar to Wintergreen, is definitely a specialty oil -- it is much more difficult to extract than wintergreen, as the bark must be macerated and soaked for up to 12 hours before distillation. Further, the essential oil is actually heavier than water (this is quite uncommon) such that the oil sinks, rather than floats, in the separation chamber. This is believed to be the only true Birch produced today, as total crop figures cannot account for the vast majority of Birch tree production that must be planted and harvested to account for commercially available Birch essential oil. We really like this oil as an alternative to Wintergreen, as it has nuances that create an interesting aromatic, not just one that's in-your-face Wintergreen aroma. It will have all the therapeutic properties of Wintergreen, helpful for both arthritic conditions and breathing conditions, though you may tend to use more of it because of its lovely scent. In regards to its similarity to Wintergreen: Traditionally Wintergreen was chewed by the natives of the Americas in order to increase lung capacity and assist in healing respiratory conditions. Early settlers chewed on Wintergreen to help prevent tooth decay. The dried leaf and stem are current in the British Herbal Pharmacopoeia as a specific for rheumatoid arthritis. It is often blended to a 10% concentration in the carrier oil of your choice, and used as an effective pain-relieving massage oil. The plant has been used for respiratory conditions such as chronic mucous discharge, but is mainly employed for joint and muscular pain relief from conditions such as lumbago, sciatica, neuralgia, gout, fibromyalgia, etc. Birch is often added to liniments and ointments to help ease muscle and joint pains. The essential oil of Birch, being made up almost exclusively of methyl salicylate, a precursor to common aspirin; Birch should NOT be used by people who are allergic to aspirin. Further, Birch should NEVER be ingested, and only used topically in dilutions of 25% or less to limit the transdermal absorption to safe levels. The salicylates pass through the skin, entering the tissues to inhibit the formation of prostaglandins, thereby reducing inflammation and pain. Along with its analgesic effects, Birch also has anti-inflammatory, anti-rheumatic, antitussive, astringent, carminative, diuretic, emmenagogue, galactagogue and stimulant properties. 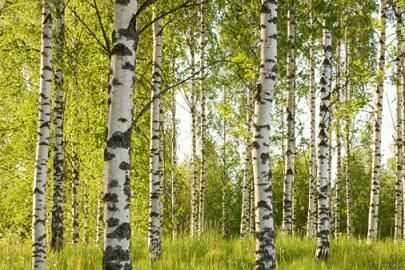 Birch is often included in formulas to open the breathing passages;deep inhalation of its bright aroma can clear the sinuses and stimulate the mind. Birch blends nicely with Ravensara and/or Eucalyptus for this effect. This light green oil with an intense sweet-woody aroma should be diluted significantly before topical application - it would be a fine addition to any formulas for supporting joint and muscular aches and pains. Care must be taken to use Birch in modest amounts, and to always keep the oil away from children. One should consider it a bottle of liquid aspirin in this regard.